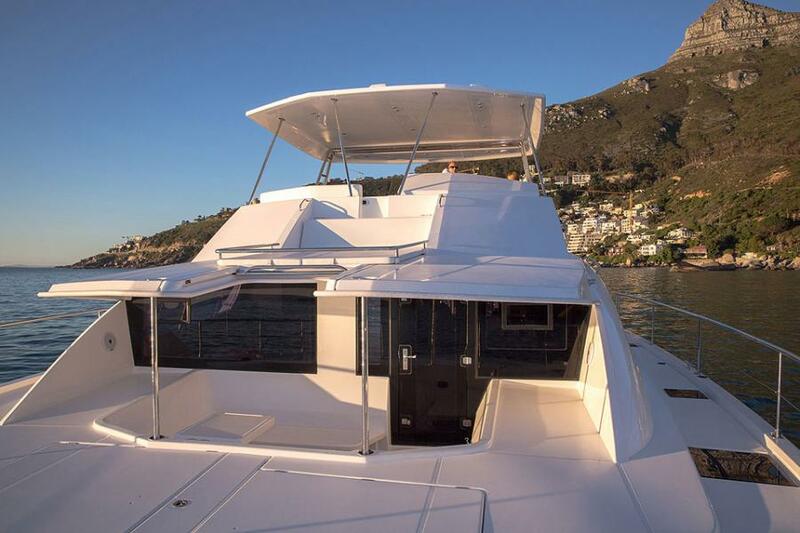 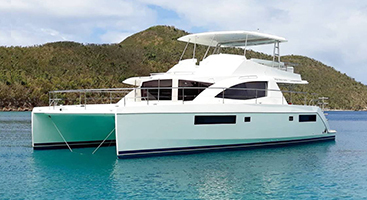 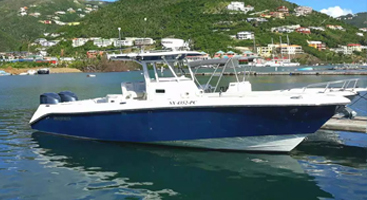 The amazing power catamaran ‘Caribbean Cat’ offers guests the ONLY opportunity to bareboat charter an ‘owner’s version’ layout of the extremely popular Leopard 51 design. 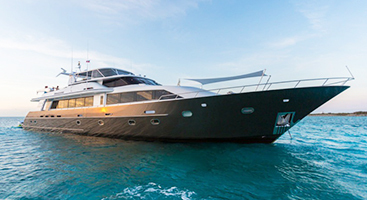 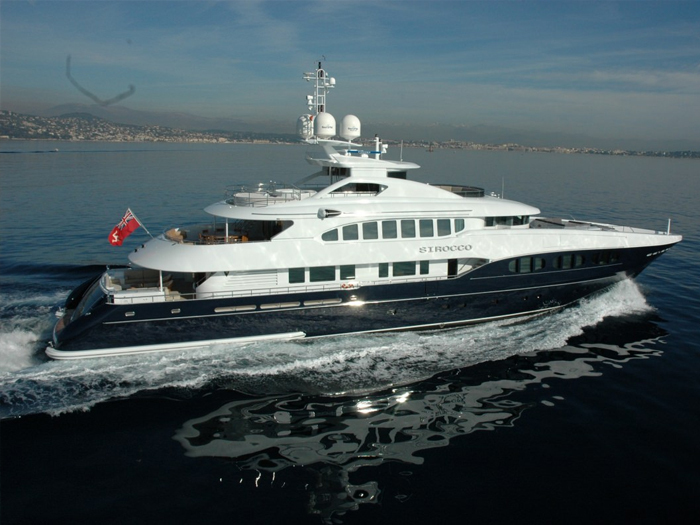 Designed by renowned yacht builders Robertson and Caine; the 51PC is the pinnacle of cruising perfection. 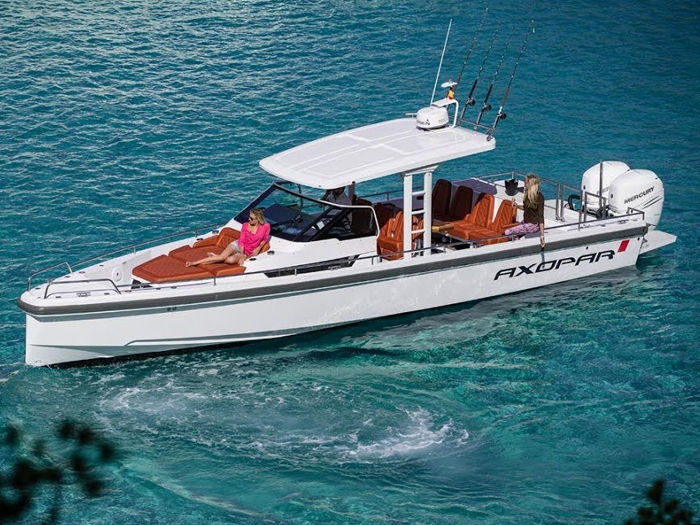 Cruise with power from twin Yanmar 370hp diesel engines while enjoying easy handling from the well-appointed helm station on the fly bridge. 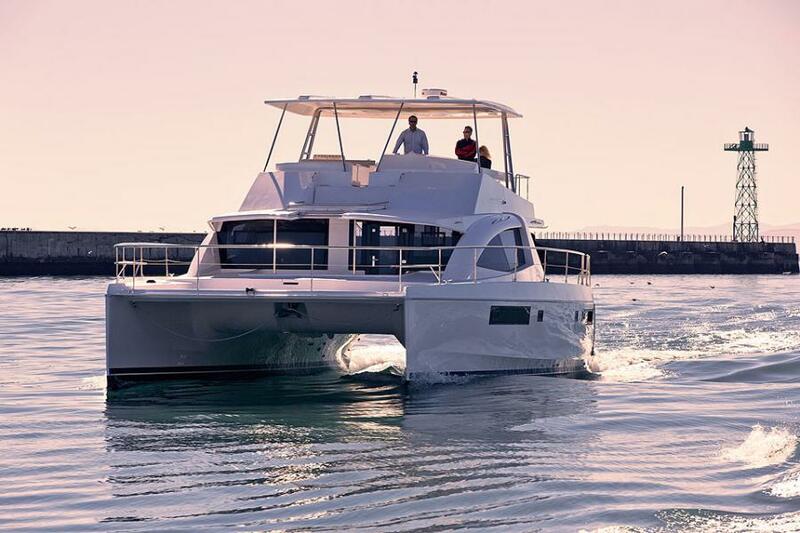 When it’s time to unwind, relax in the spacious comfort of this innovative fly bridge, which features an elevated sunbathing platform and large U-shaped seating with table to accommodate all your guests. 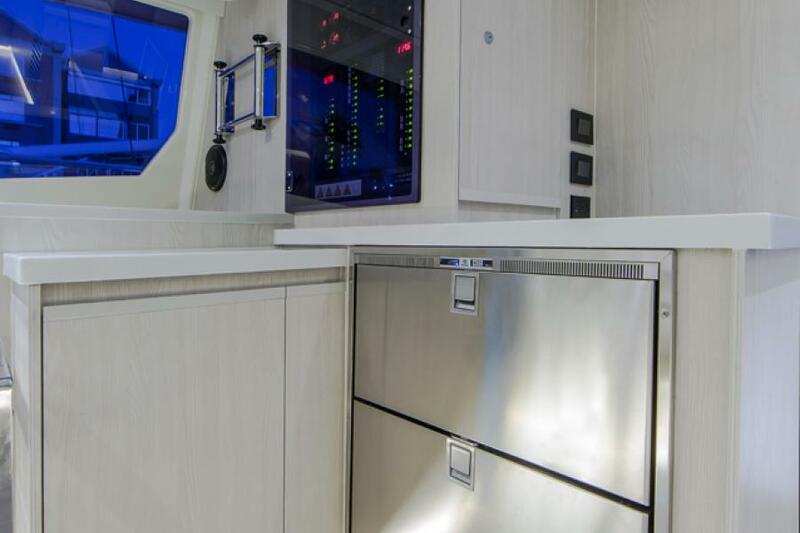 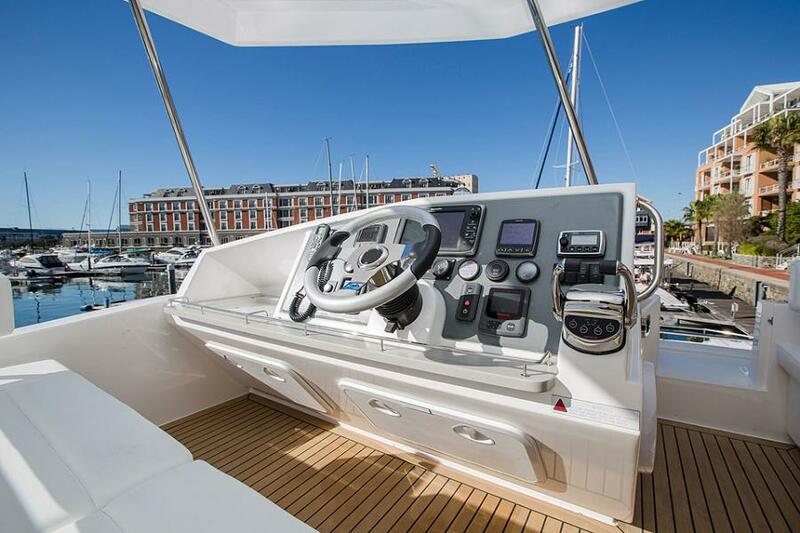 Enjoy the modern conveniences of a built in refrigerator and ice maker on the flybridge. 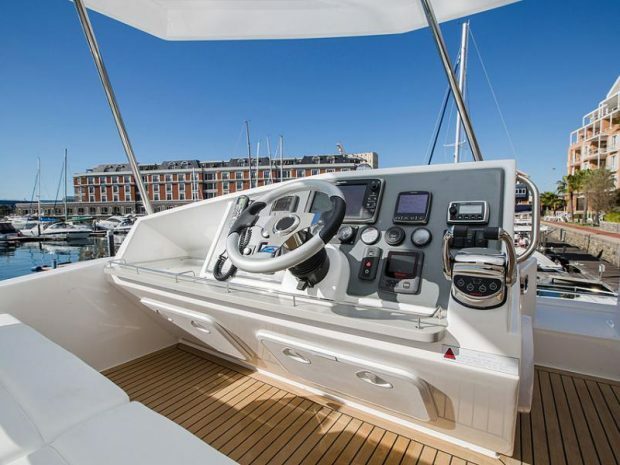 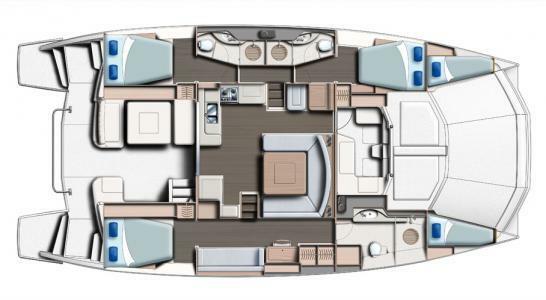 Below the main deck, the 51PC boats a starboard hull that is totally dedicated as a master suite with a queen cabin aft, sitting/lounging area and a spacious head with large, separate walk in shower forward. 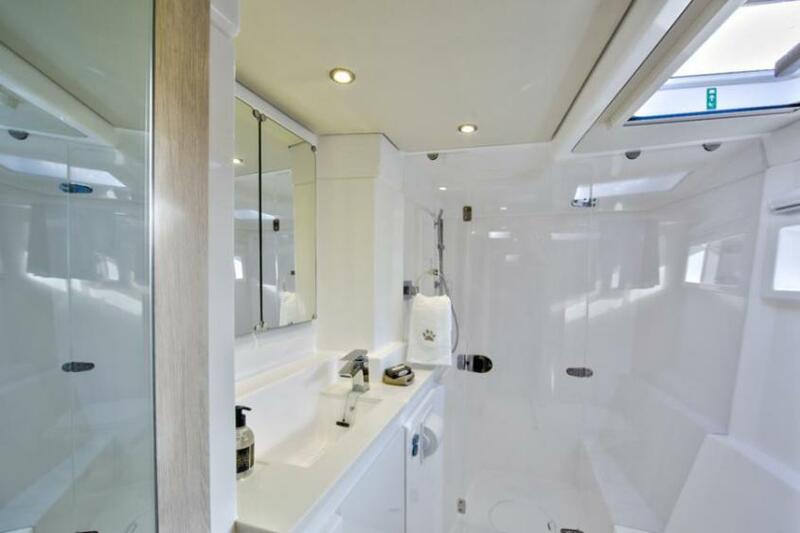 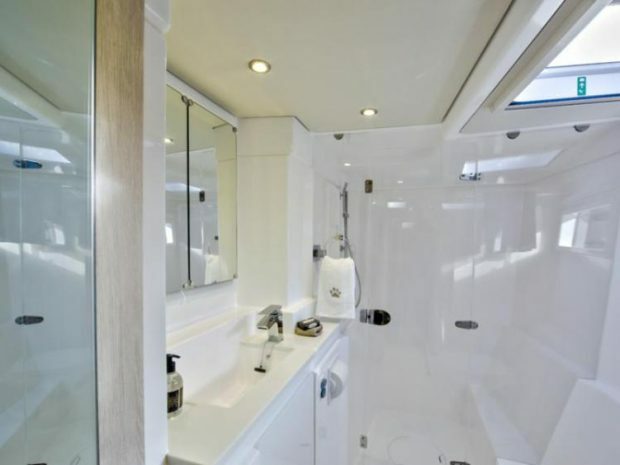 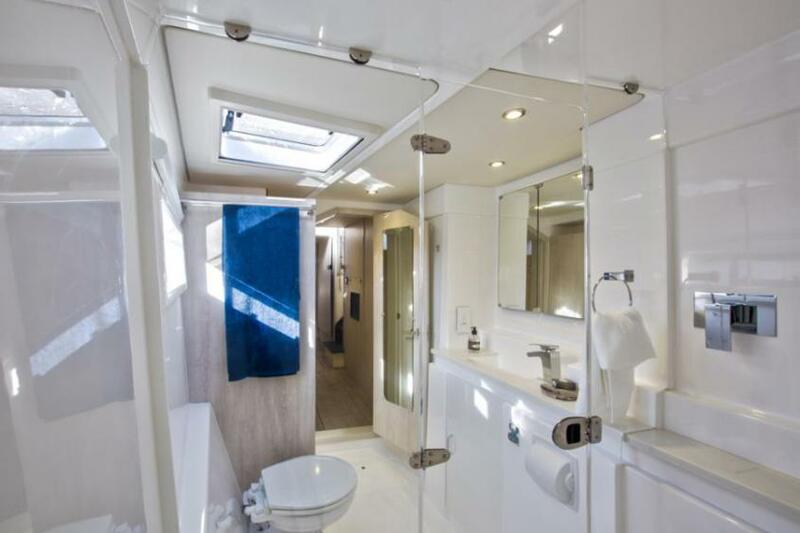 The port hull has two queen cabins each with en-suite heads with separate showers. 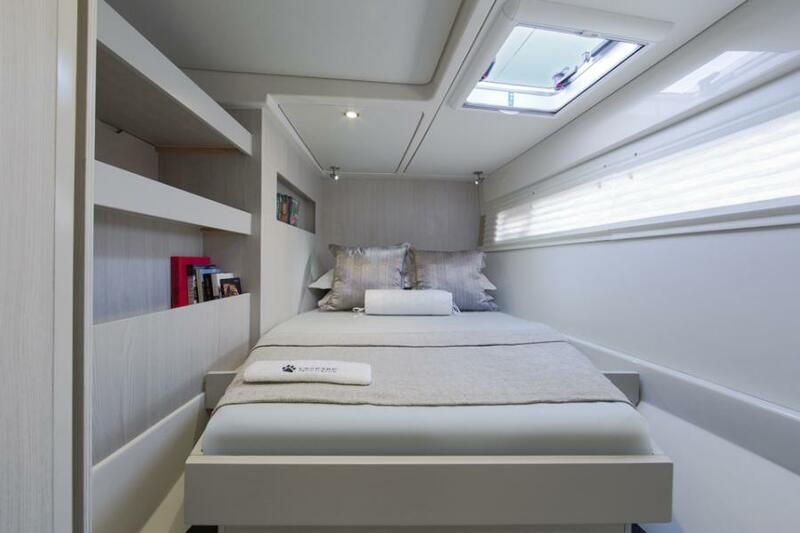 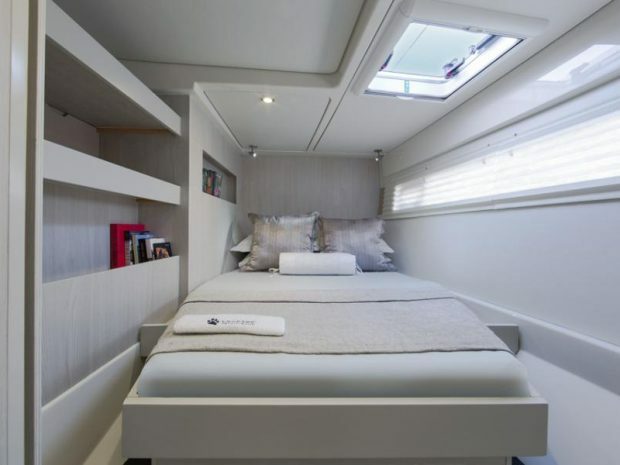 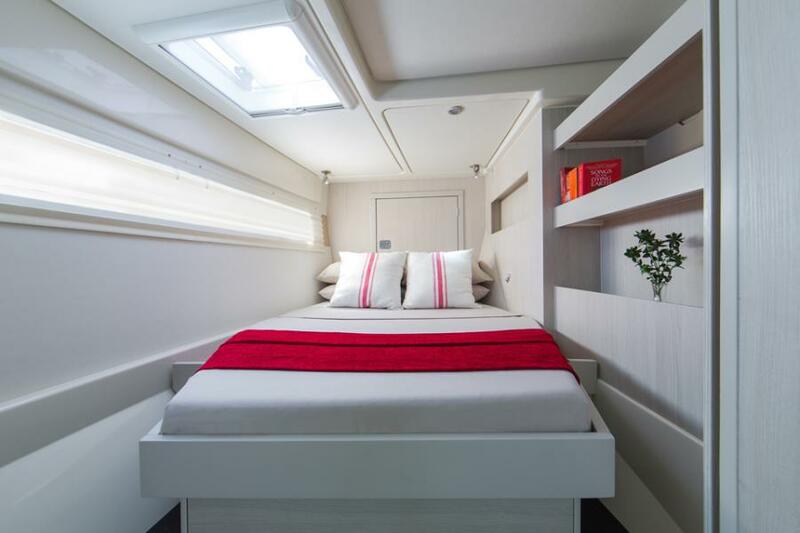 There is a single cabins foreward in the forward port hull, suitable for a child, accessed by an overhead hatch and also through a door forward in the port double berth. 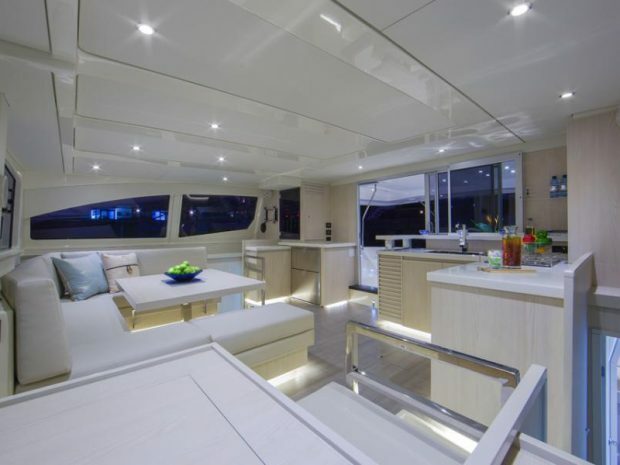 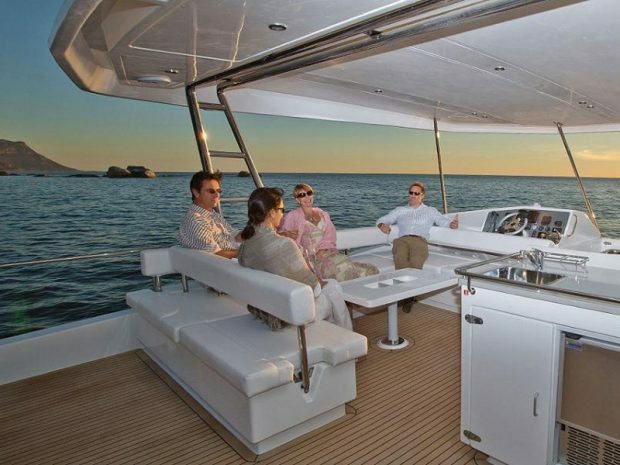 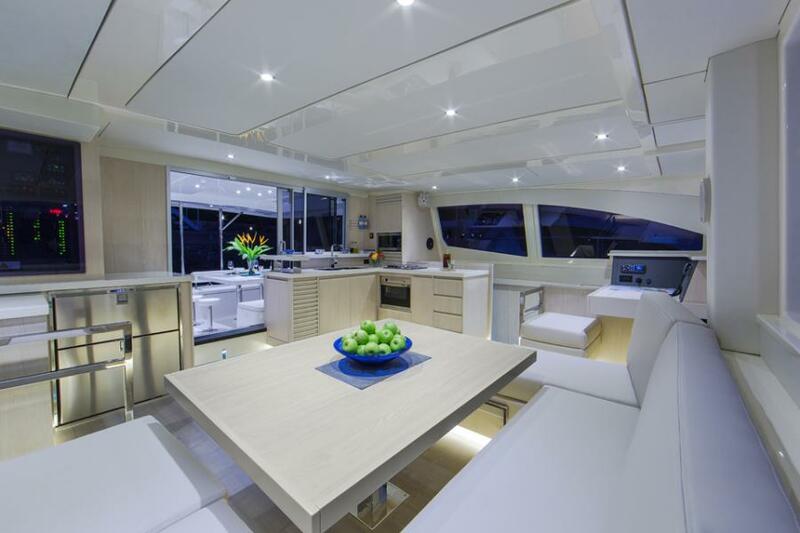 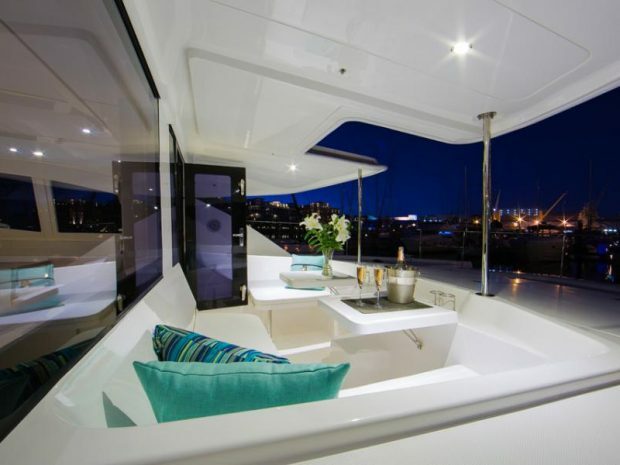 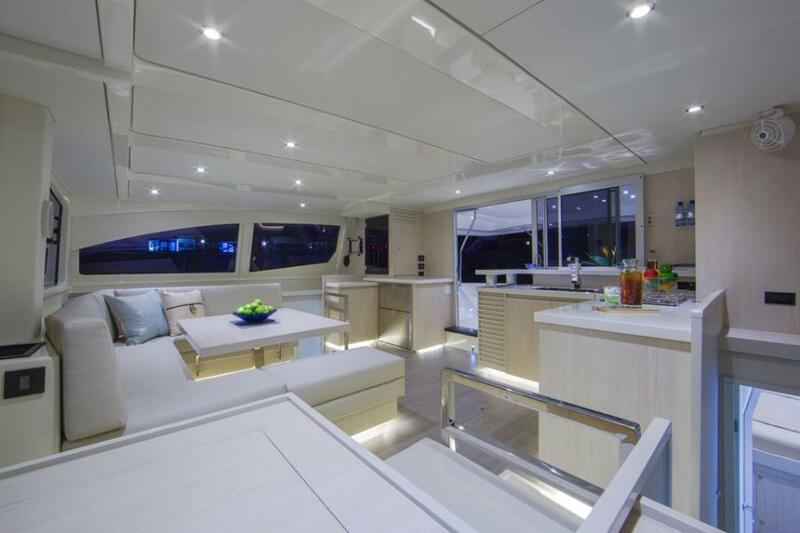 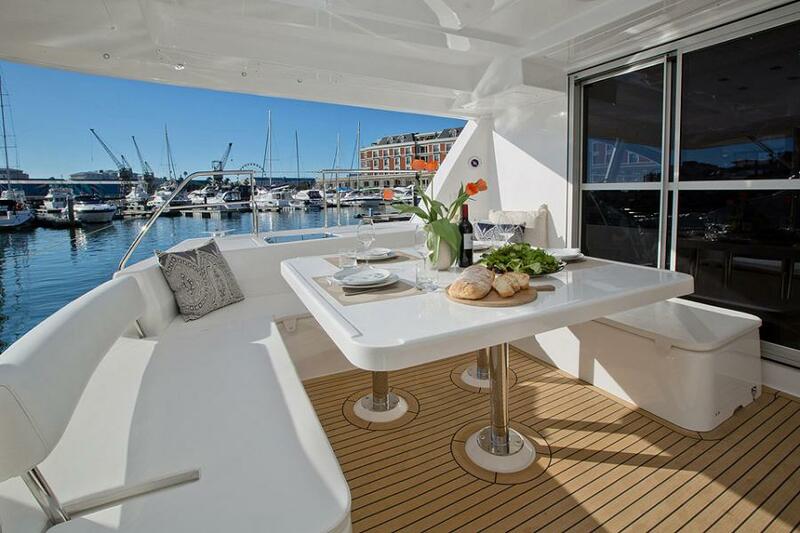 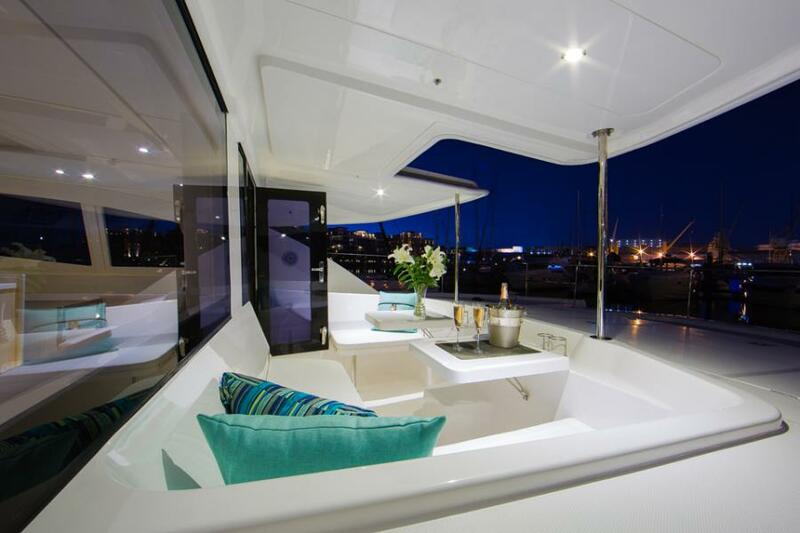 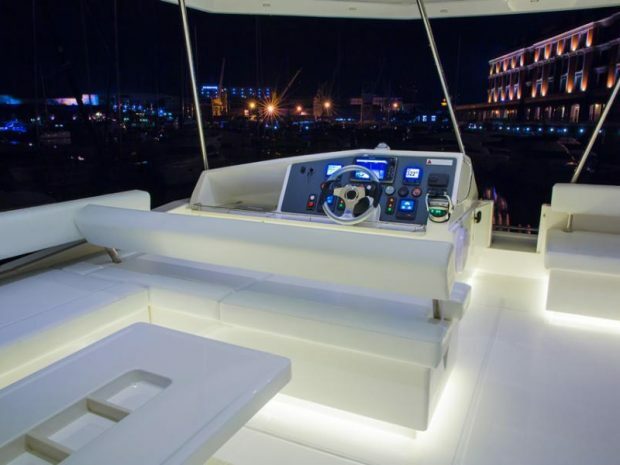 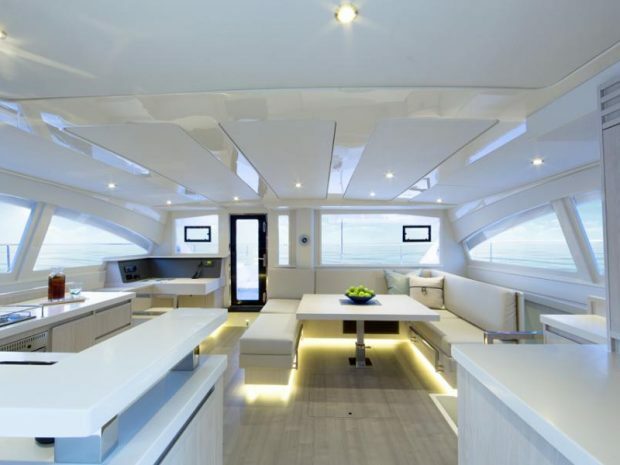 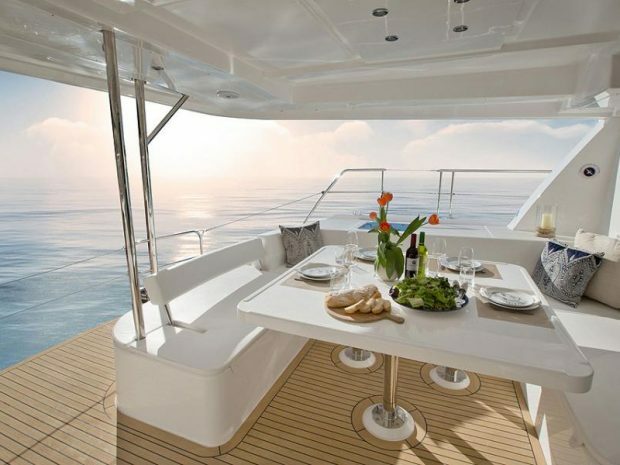 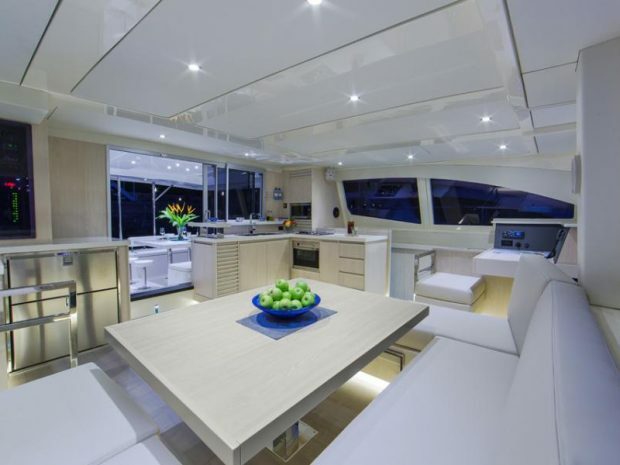 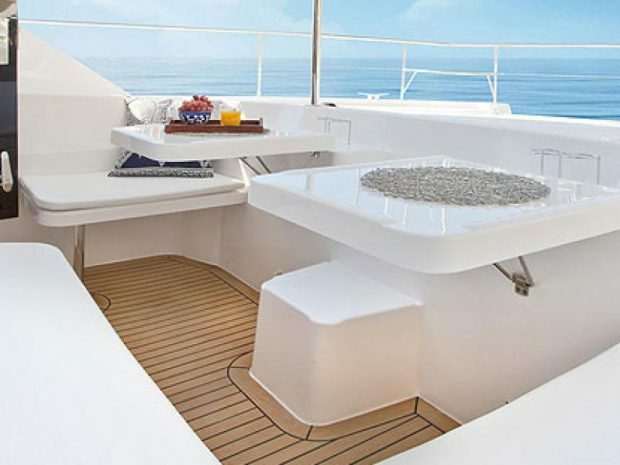 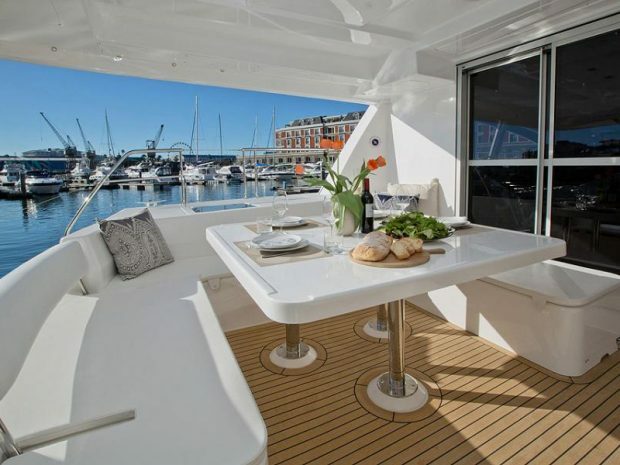 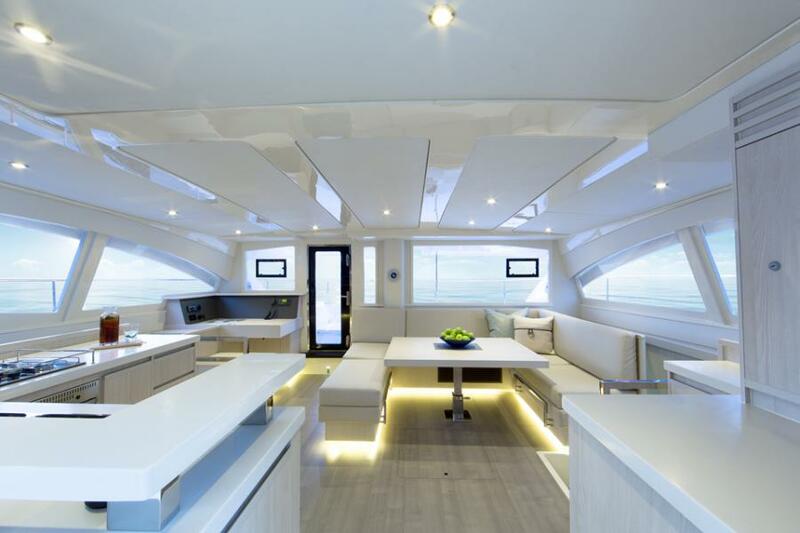 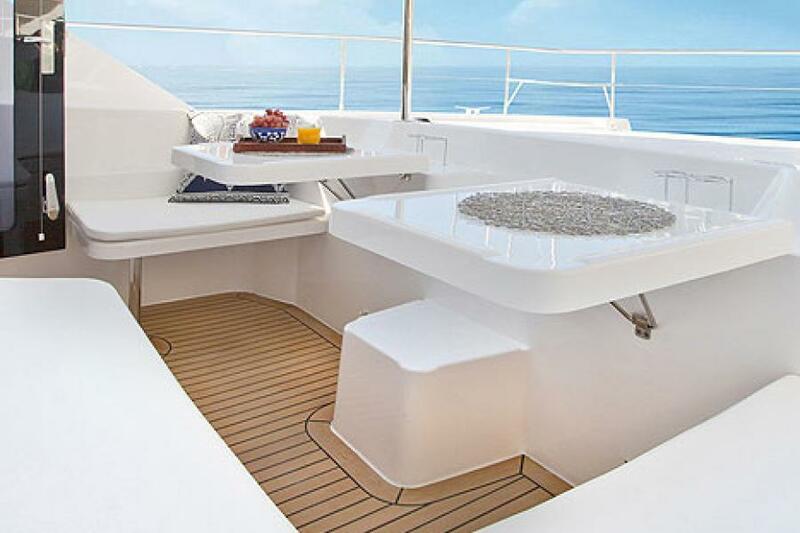 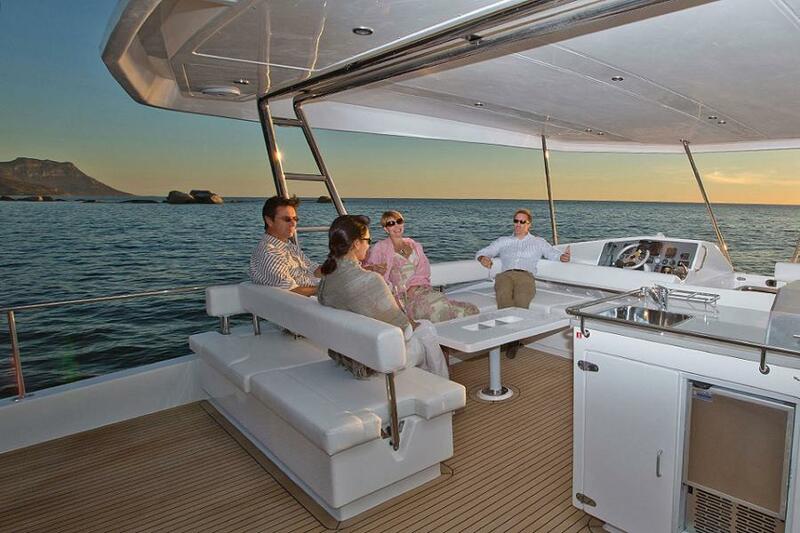 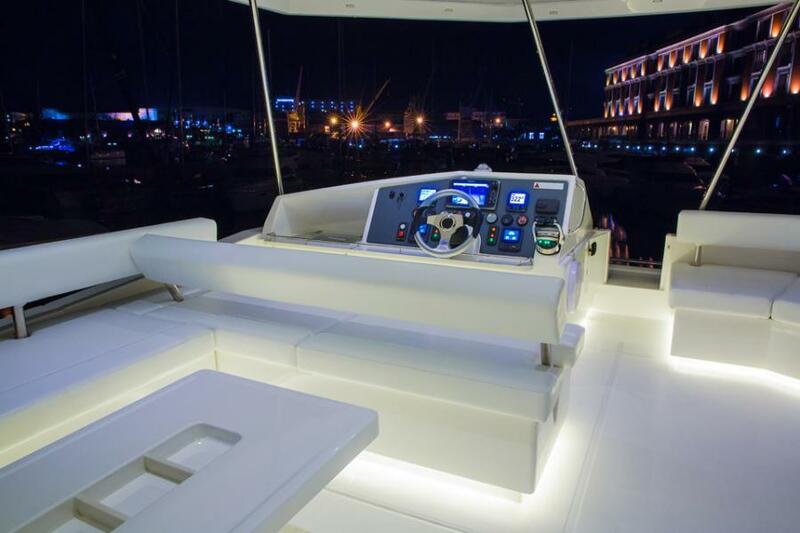 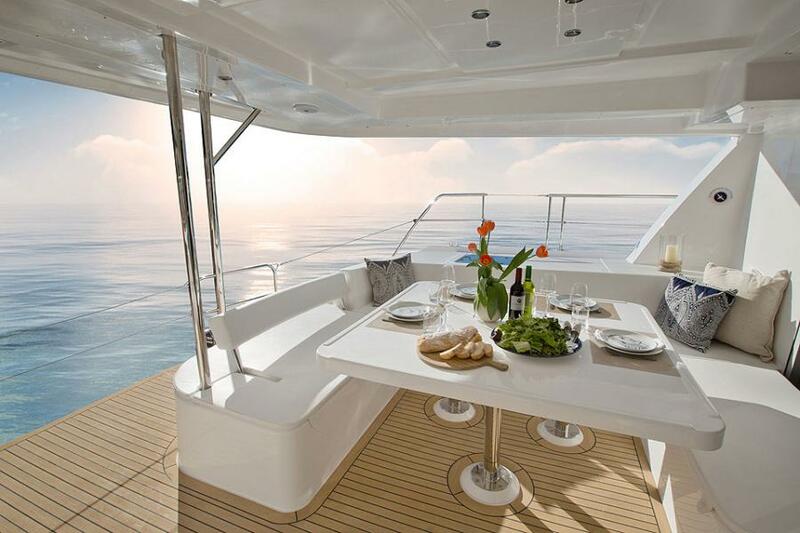 The salon table is also convertable, so the yacht can accommodate up to 9 guests maximum. 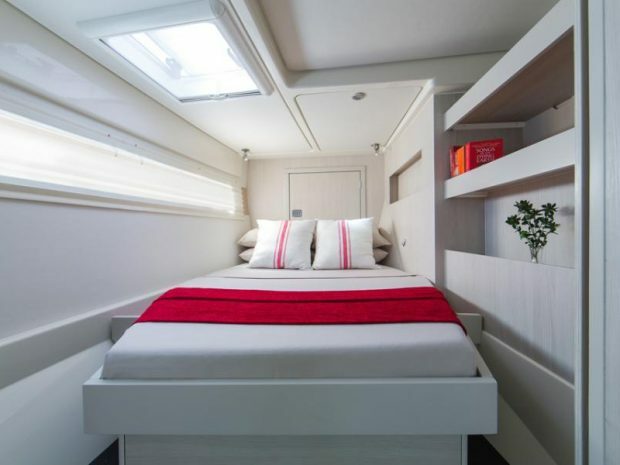 There is also a forepeak captain cabin which can be used for a crew member. 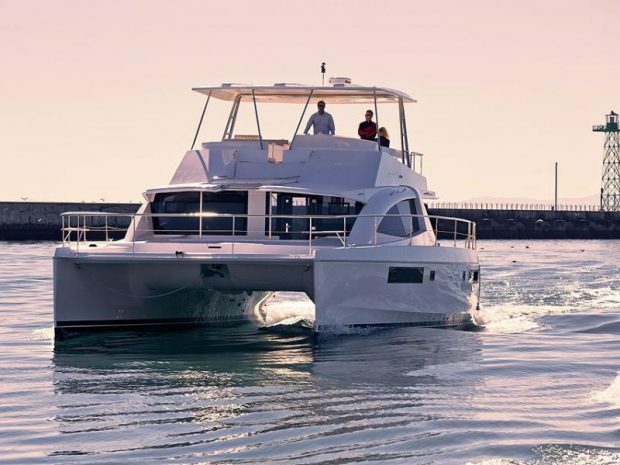 On the stern sits a simple davit system to raise and lower the dinghy, which offers guests new the unique opportunity to travel with the dinghy securely raised out of the water instead of towing it behind the power catamaran. 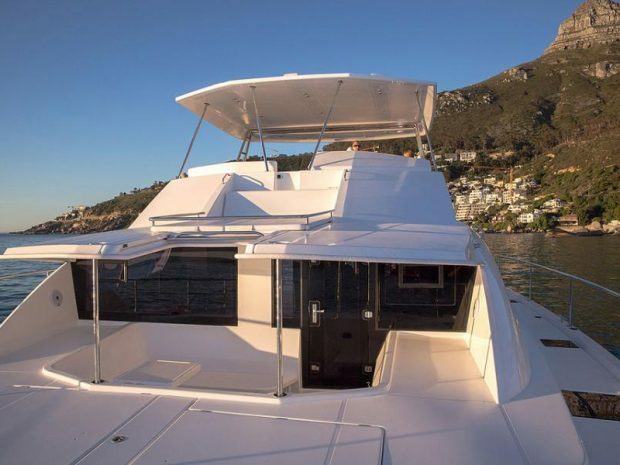 The spacious 51PC can accommodate a maximum of 9 guests (depending on your guest make up and if using all sleeping spaces), across 3 double cabins, 1 small single cabin (non separately air conditioned) and a convertible dining salon. 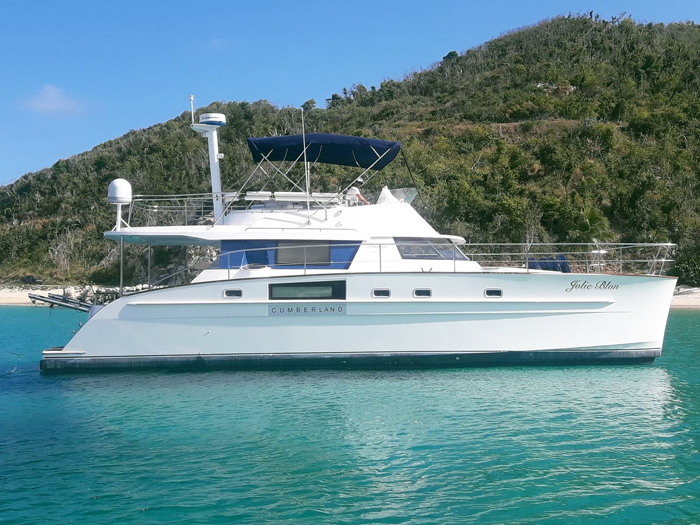 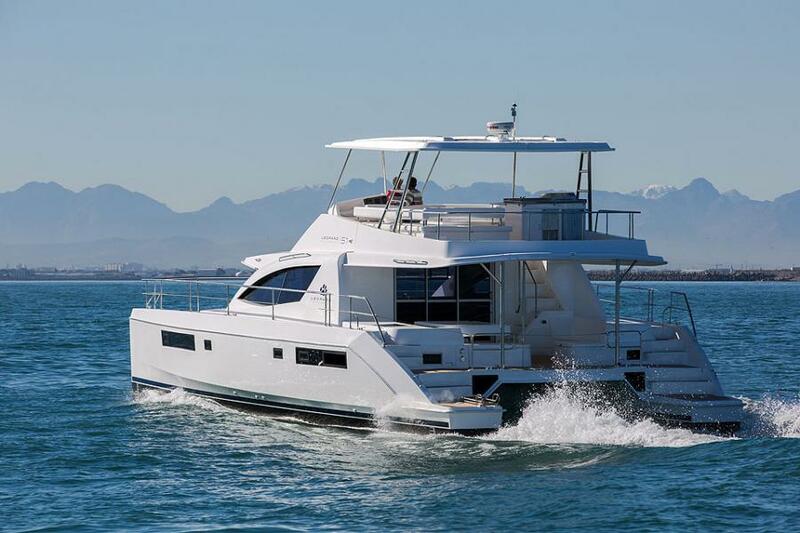 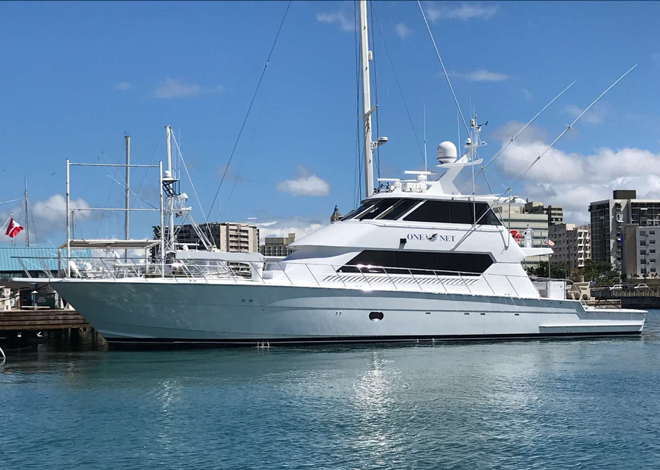 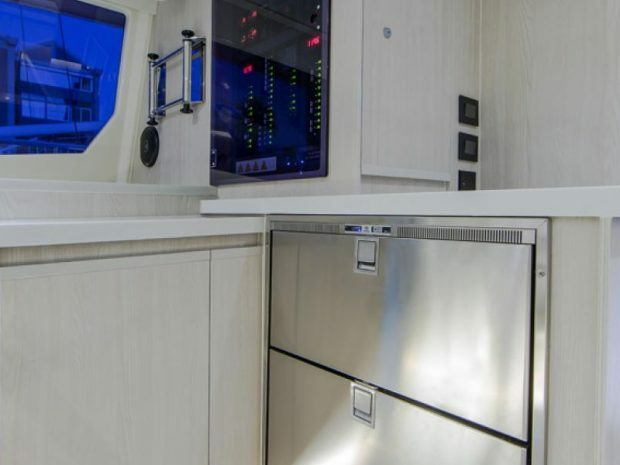 Below the main deck, the 51PC boasts a starboard hull that is totally dedicated as a master suite with a queen cabin aft, sitting/lounge area and a spacious head with large, separate walk in shower forward. 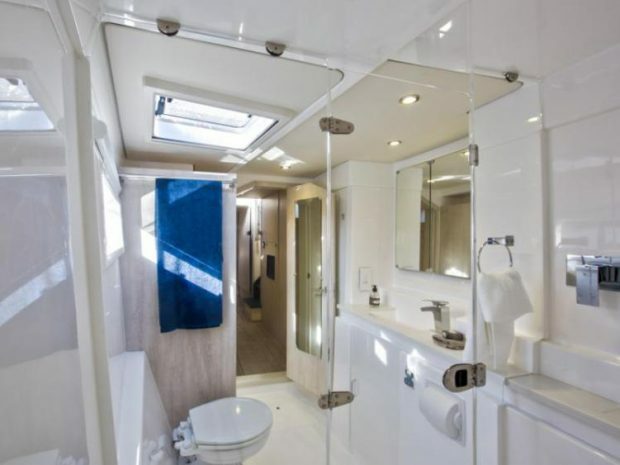 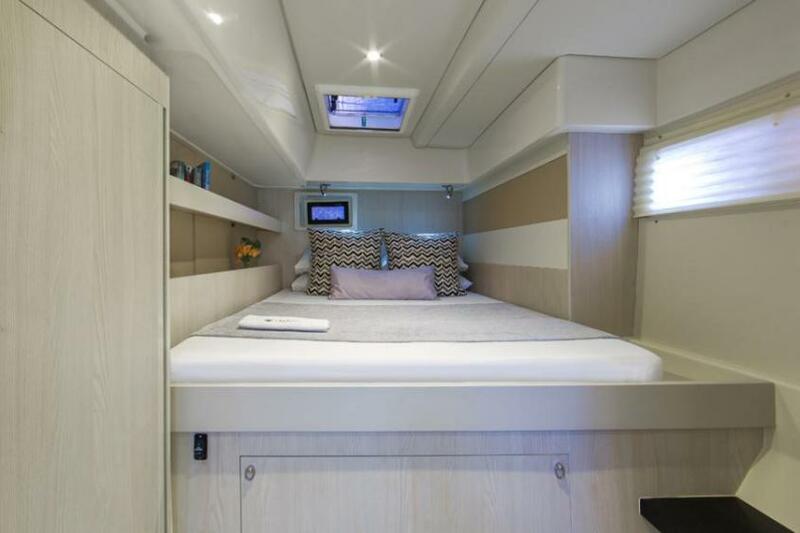 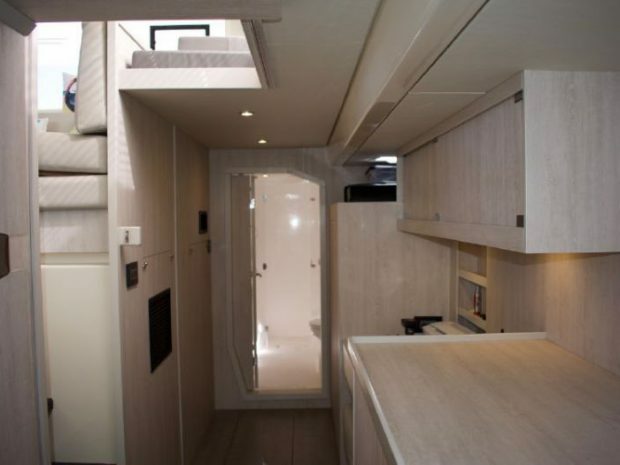 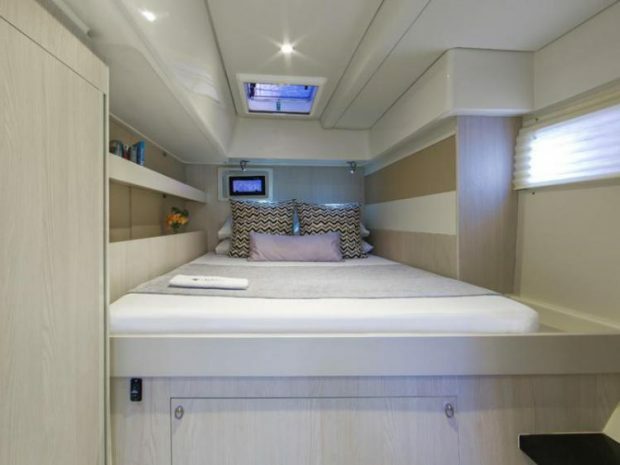 The port hull has two queen cabins, each with en-suite electric heads and separate showers. 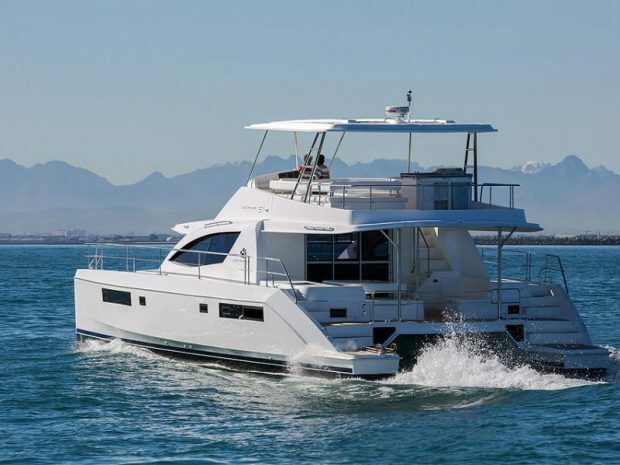 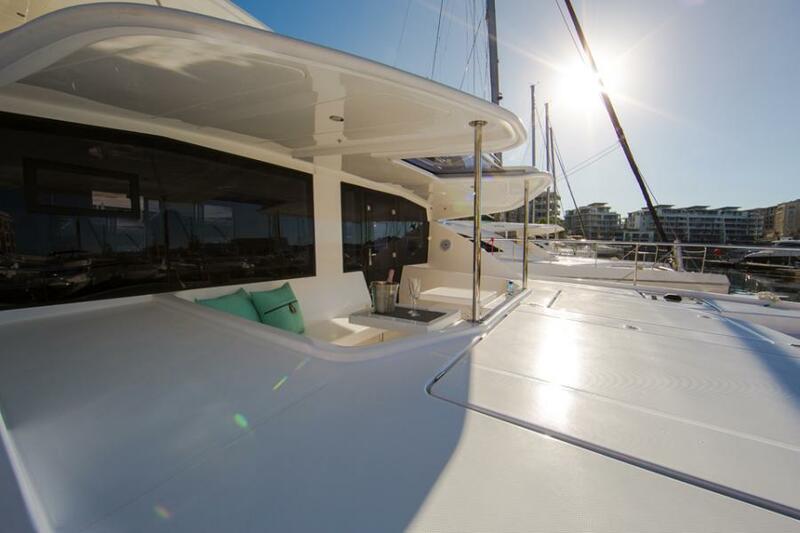 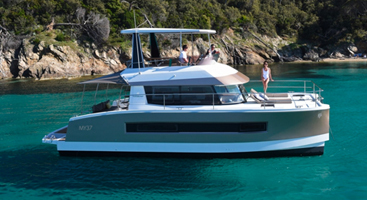 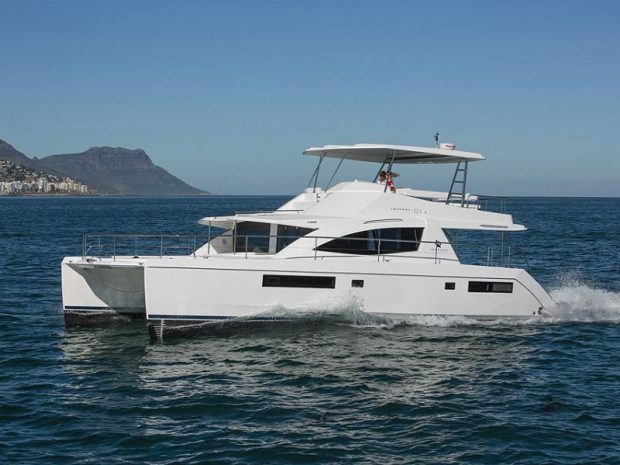 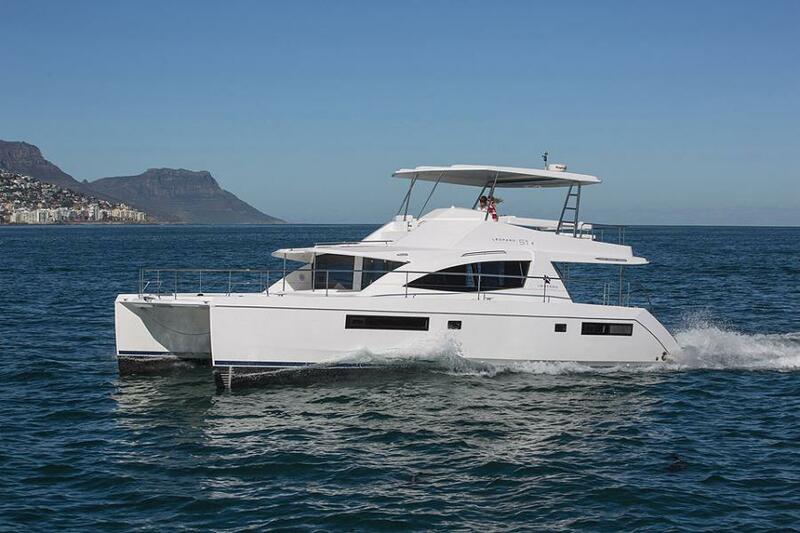 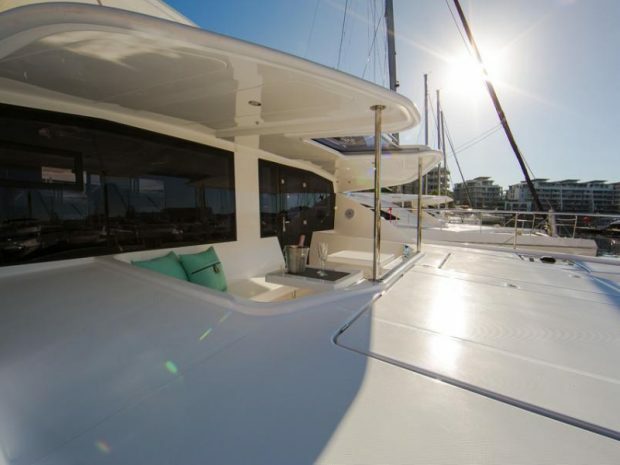 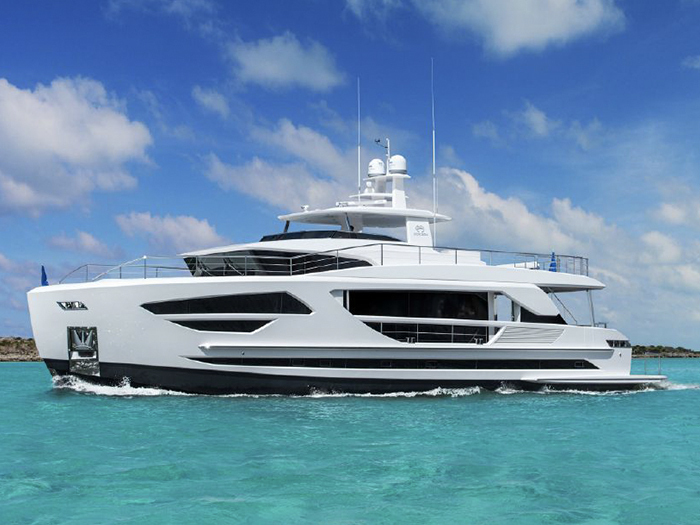 Discover just how incredible a power catamaran vacation can be aboard the all-new 51PC!